For almost ten years now, the Galerie Karsten Greve has been actively supporting Pierrette Bloch’s work. The exceptional selection of works of this retrospective — most of which unseen before — bears witness to the passion with which Karsten Greve continues to promote and defend this visual arts pioneer, whose work is based on the artist’s repetitive, yet always singular gestures. Pierrette Bloch’s work, deeply rooted in drawing, would infuse draughtsmanship itself with innovation and offer it top billing amongst contemporary visual art practices: thus infusing abstraction with new artistic subtleties and poetry. Born in 1928, Pierrette Bloch shares with other artists of her generation, such as Cy Twombly and Pierre Soulages, a resolve to attain the very essence of art using consecutive morphological elements of pictorial creation. 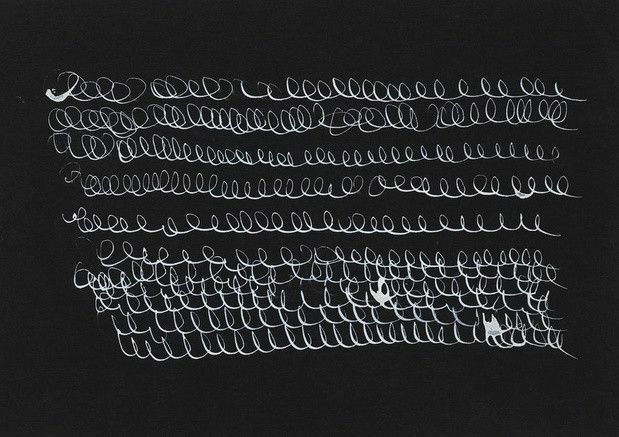 The dot, the line and the relationship that is established with surfaces has constituted Pierrette Bloch’s work for over sixty years. 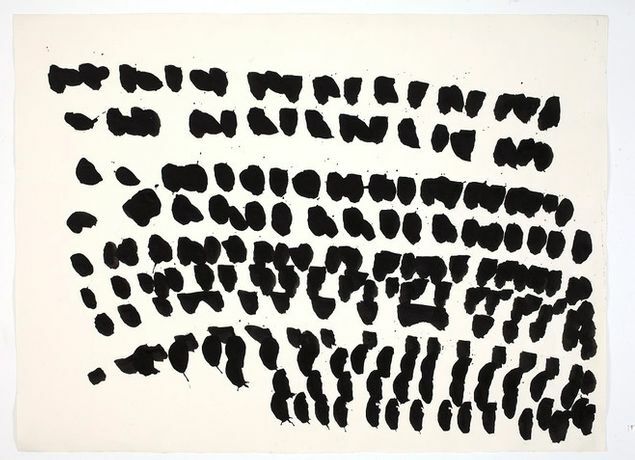 But, far removed from the heroism of Soulages’ outrenoir or the tragic nature of Twombly’s painting, Pierrette Bloch had channelled all of her strength via her choice of an apparently silent type of work. Her pieces are indeed defined by their spare means — ink, crayon, pastel, horse mane hair — as well as colours — black and white — with which she has successfully created extremely liberated pieces. Even though she maintained a modest lifestyle and avoided the jet set, her relationships with the most important artists of her generation were sincere and long lasting. Her work does not only resonate within the abstract art endeavours of the 50s and 60s, it pioneered new choices with regards to supports and materials, far removed from the boundaries of traditional painting. Thanks to her curiosity for and approach to the materials she used, Pierrette Bloch has often been defined as the forerunner of the French Support/Surface Group, active in France between the end of the 60s and the beginning of the 70s.